Over the last couple of weeks, the children have been lucky enough to have not one but two visits from fantastic children's authors. 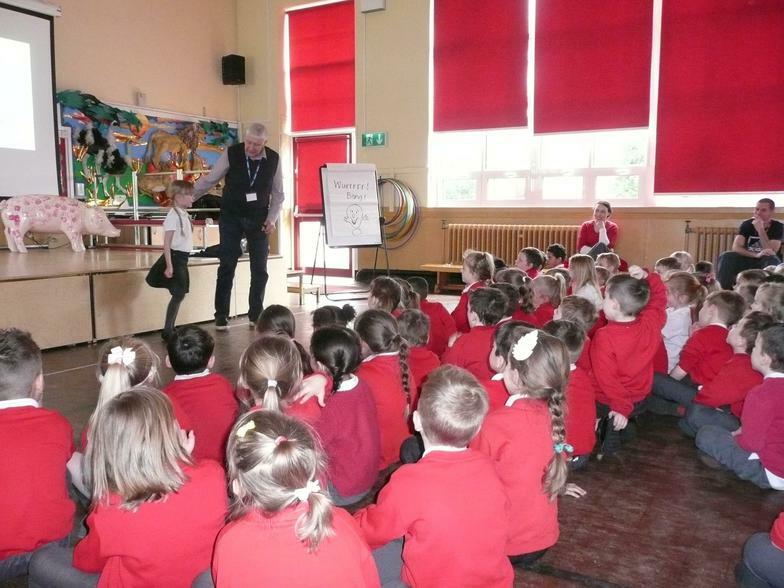 On Tuesday 14th March, Chris Wormell, author of George and the Dragon and the Scruffy Bear series, paid a visit to Springfield. 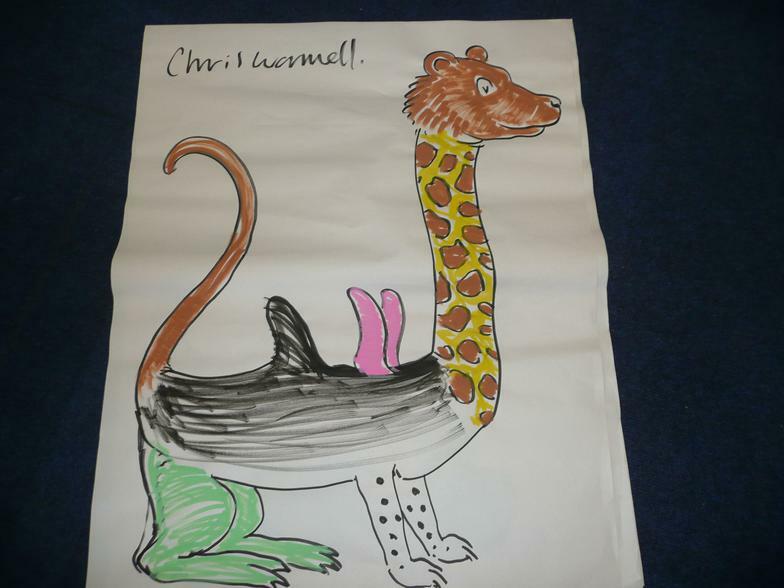 He shared some of his stories with the children and wowed them all with his drawing skills! 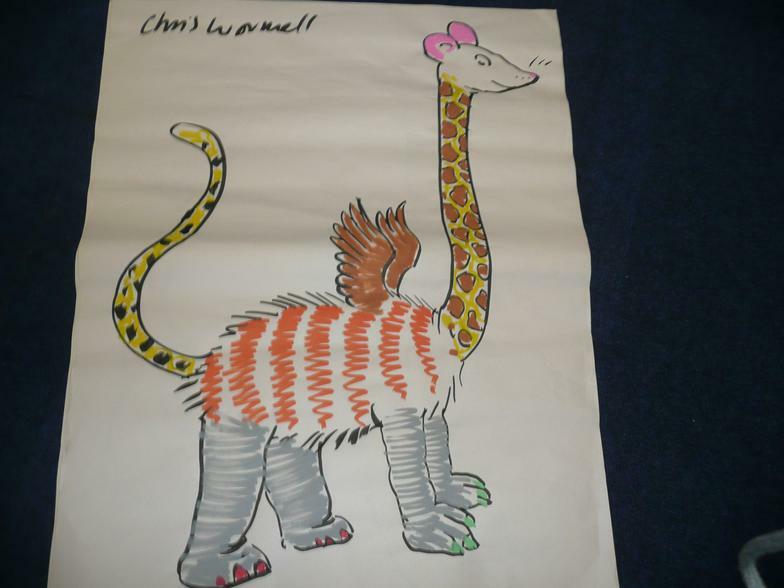 The children helped Chris to create some new characters using a combination of parts from different animals. 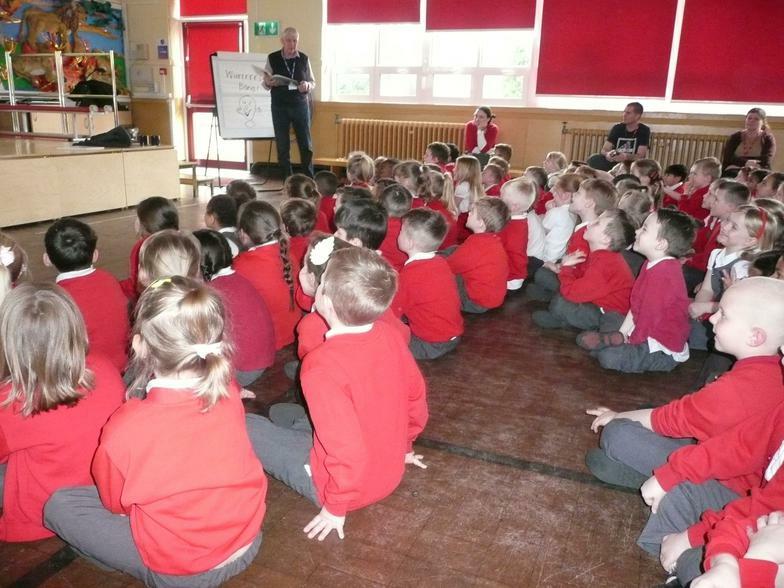 Yesterday we enjoyed our final author visit. 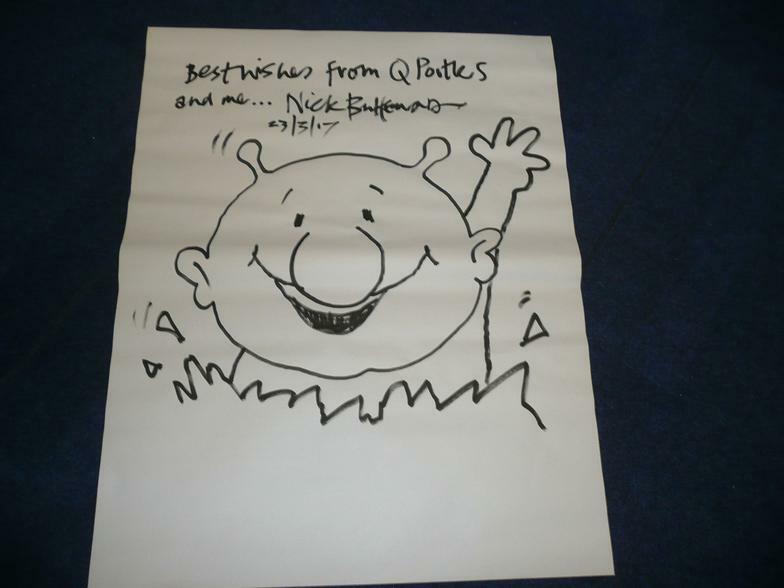 Nick Butterworth, creator of Percy the Park Keeper and QPootle5, spent the day with us. He spoke to all of our year groups throughout the day. 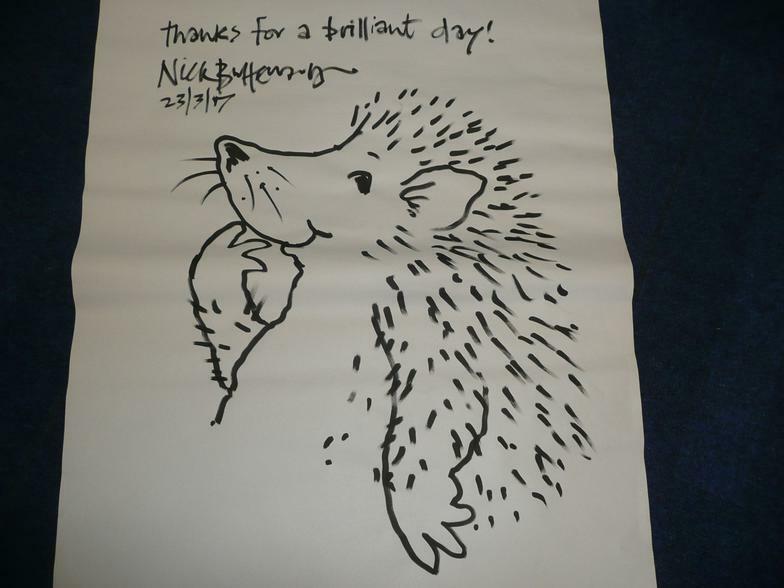 The children and staff found Nick truly inspiring and were hooked listening to Nick's stories about where he gets his inspiration from for writing stories and the process which he goes through from having a good idea to finally turning his idea into a book. It has been amazing to see the children so inspired by our visitors this half term with lots of children wanting to create more stories of their own. Maybe we just might have some budding authors of the future?